Mike Tyson Weed – The legendary boxer has admitted to getting high before his ‘Showdown in Motown’ back in 2000. When asked how it impacted his performance, Tyson said: “It didn’t affect me. 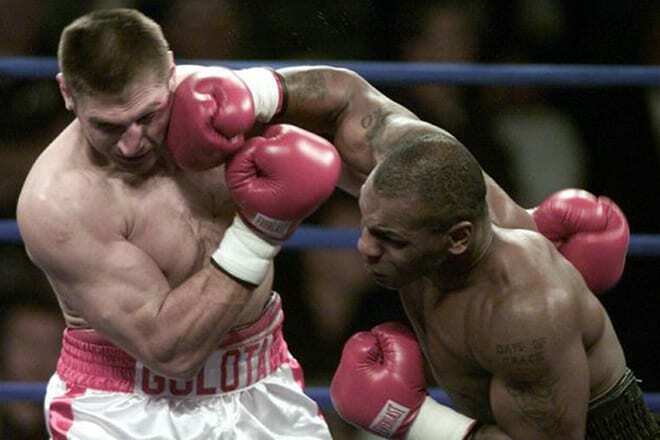 It affected Golota,” said Tyson, before detailing how he went about getting high before that fight: “Well maybe a bit earlier than the locker room. Before we got to the locker room”. Dan Patrick then asked Tyson to confirm if this was the only time he smoked before a fight, to which he replied: “Yeah and they fined me. Couple hundred thousand dollars”. Patrick then followed that question up by asking the former heavyweight champion if he ever smoked after ‘most of his fights’. Tyson admitted that he did smoke after his fight with Bruce Seldon in 1996, but it wasn’t a regular post-fight ritual. He tested positive for marijuana after the fight and was fined $200,000, which stripped lead to his dominant victory being eventually labelled as a ‘no contest’, as Tyson was stripped of his victory. Earlier this year, Tyson revealed that he is set to open a 40-acre marijuana ranch in California, a project aimed at growing cannabis and funding research into its medicinal benefits. The venture is called ‘Tyson Ranch’ and doubles up as something of a weed-lover’s theme park. According to The Blast, half of the ranch will be used to craft ‘high-quality strains of THC and CBD”. The ranch will also offer ‘glamping’, campagrounds, cabins, an edible factory, an extraction facility and a hydro-feed plant and supply store. There is also the Tyson Cultivation School, which educate on new growers on best practices when growing cannabis. In January 2018, California became the sixth American state to legalise the recreational use of marijuana.